Unity provides tools to get information about your game at run time. This information is useful for testing your multiplayer game. 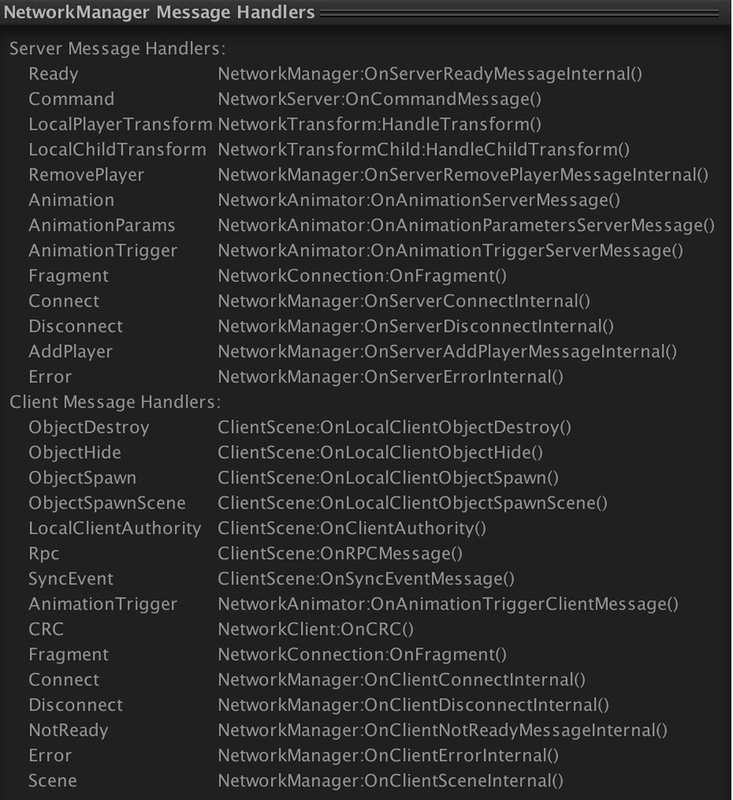 In Play Mode, the Network Manager HUD component displays additional information about the state of the game and the GameObjects that have spawned. Additionally, the Network Manager preview pane (at the bottom of the Inspector window) lists the registered message callback handlers. 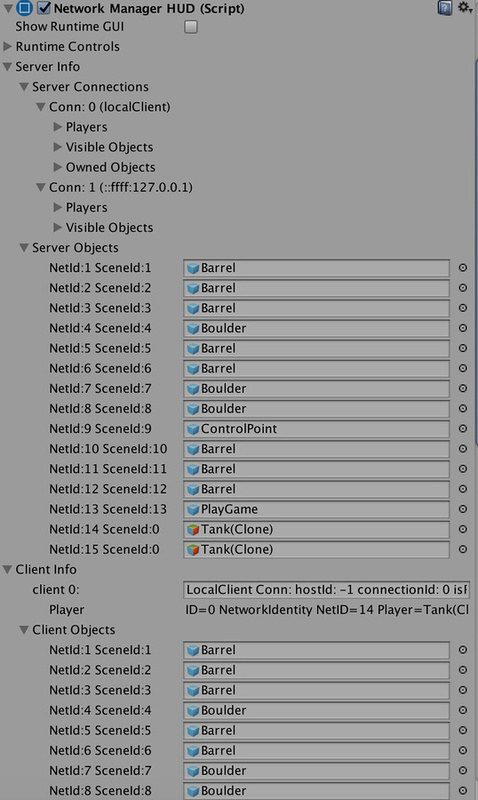 The Network Manager HUD component preview pane, showing registered callback handlers.